I appear to have rambled on about mosaics a lot recently, and I’m certain to continue later although I’m not obsessed honestly…, but I thought that I might take a few minutes out to praise something else. 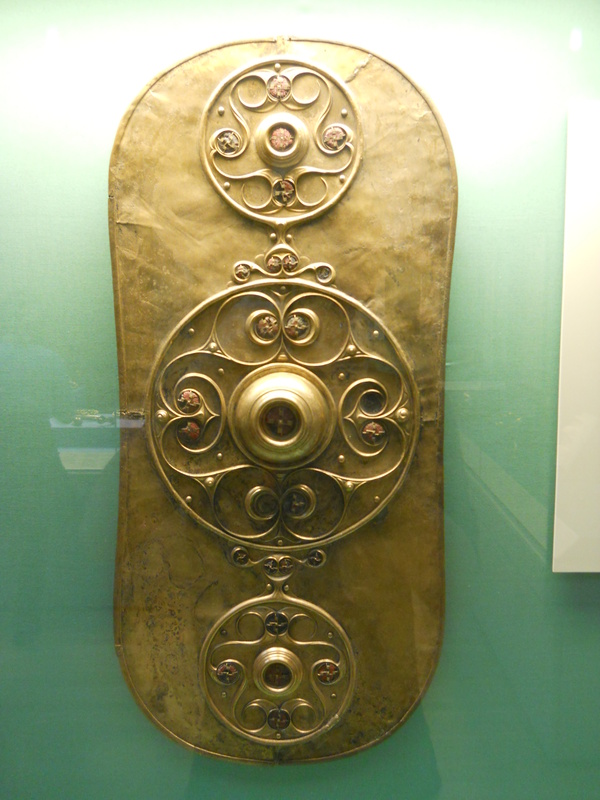 So here is one of my favourite items from the British museum, the Battersea shield. Dating to the Iron Age, from around 350-50BC it is simply a beautiful example of Iron Age art with its exquisite coils and voluptuous curves. This artefact is clearly made for its artistic appeal and its likely ceremonial consequences. I may demonstrate my love for Roman or classical art all the time however I must admit that I also adore native British style. The lines are just so organic and vibrant it just exudes awe for nature. With this in mind I plan to do a much more British design in my next mosaic, although I have another mosaic to finish first! A list of future designs appears to be constantly growing and with a trip to the British Museum and the Pompeii exhibition hopefully coming soon, I’m sure that inspiration for that list will only get longer. I’m not completely mad for mosaics and I do have some museum reviews and different content to come soon, or maybe do I protest to much?